It’s no surprise that, in recent years, companies have aimed to make their workplaces more pet-friendly in a major way, because hey, animals have feelings too. Now, some are taking it up a notch. 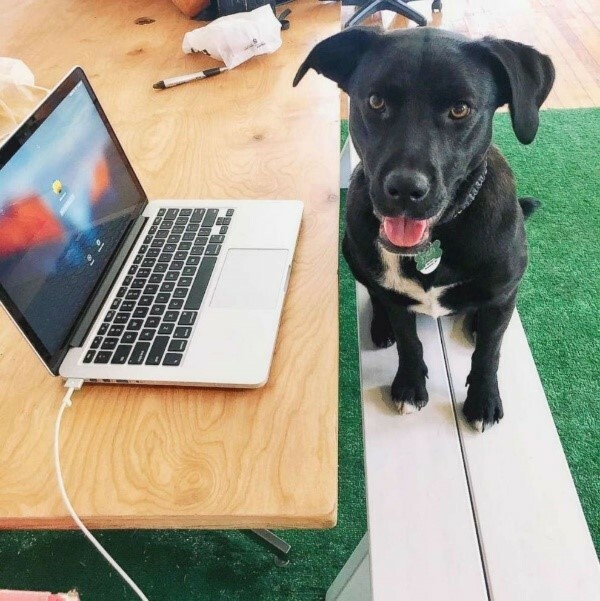 Thanks to Ollie, a customizable, all-natural dog food delivery company, our four-legged besties (and us) can benefit from some pretty nice perks – starting with ‘paw-ternity’ leave! Yep, Ollie employees can take up to a week of paid time off to care for and welcome a new pet into their lives. Everyone knows the stresses of adding a new pet to the family – between the training and getting them properly adjusted to their new home, it can be time consuming. Which is exactly why Ollie not only offers up paw-ternity leave to new pet owners, but also provides a pet insurance discount, free dog food and snacks AND guarantees paid sick leave and bereavement time for their furry friends.